magine pain so severe that you consider ending your life to make it stop. Now picture yourself suffering that pain alone because family members and neighbors have shunned you, believing they cannot touch your skin and that your condition is a curse from God. 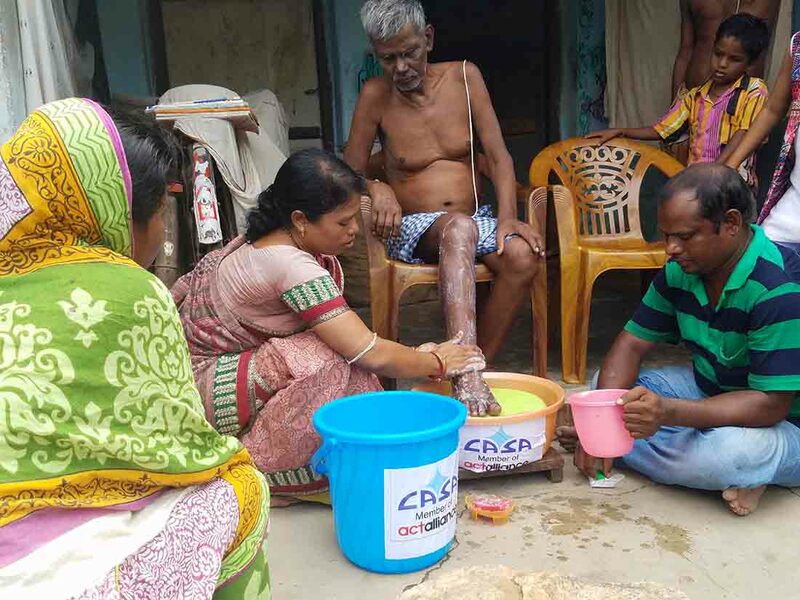 It’s a sad reality for thousands of people living with lymphatic filariasis—a neglected tropical disease that starts with a mosquito bite and leads to extreme swelling in the legs, arms and genitalia—throughout India. 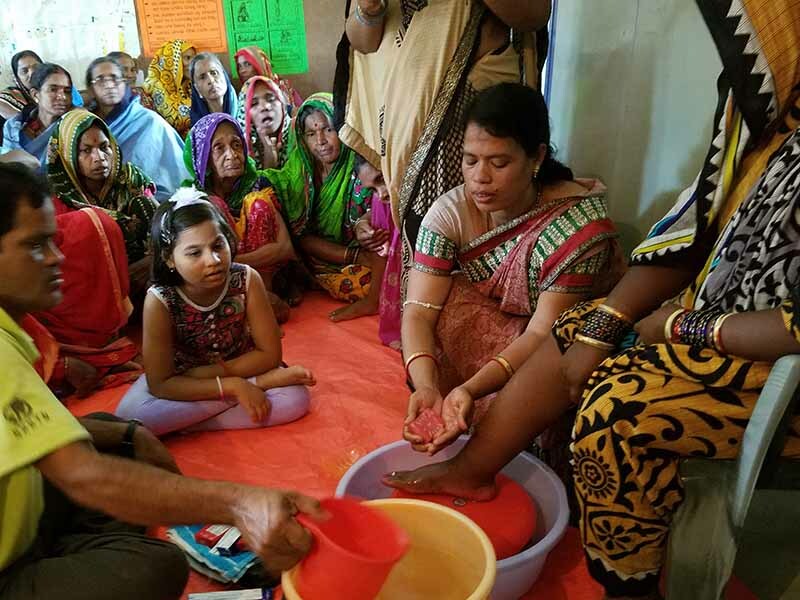 Thanks to a partnership between IMA World Health and Church’s Auxiliary for Social Action, with support from the U.S. Centers for Disease Control and Prevention, thousands of people living with LF in India have gotten their lives back and thousands more have learned how to care for their loved ones. Since 2007, IMA and CASA have successfully implemented the Community Based Lymphedema Management program in Orissa State, on the southeastern coast of India. Learn more about LF and how IMA and CASA work together to beat it in India by clicking the image above. Communities where the program has been implemented demonstrate increased awareness around LF and lymphedema patients, and this has been shown not only to decrease stigma for those suffering from the chronic infection but also to increase community acceptance of LF prevention efforts, such as mass drug administration. The program has been so successful that the Ministry of Health and National NTD Program plan to carry out the CASA model throughout the country. Volunteers go to where the patients are in their communities rather than treating them after they arrive at a medical facility. “We realized it’s difficult for the person (living with LF) to get to the hospital,” said Jonathan Rout, CASA Program Manager, who was recently in Washington, D.C., to connect with colleagues at the Neglected Tropical Disease NGDO Network. It’s painful and often difficult for people with severe swelling to travel. They also sometimes lack the support system to arrange for their transportation. “We bridge the gap,” Rout said. CASA trains local task force members, family members and health activists in the principles and practices of lymphedema self-care through home-based, foot care management. The volunteers then go door to door, seeking out people who are suffering. In some cases, they have found people who have been cast out, living with farm animals. Upon finding someone who needs care, program participants check the affected areas for infection and lesions. Then they wash the area and teach the person, or their loved ones, how to care for and maintain the condition. The education includes washing techniques, explaining how exercise can increase mobility, why they need to keep their extremities elevated and how proper shoes can help. If they find someone having an acute attack, they consult a village health worker for antibiotics or refer them to the local hospital. Along with training, CASA volunteers also give people three bars of soap, three tubes of antibiotic ointment for acute attacks and three towels, which is estimated to last about two months. After that, patients are expected to be able to purchase their own supplies. They do not supply gloves because they are not needed, Rout said. The CDC has found that there is no risk to the person who is washing the affected areas, he said. Something as simple as washing swollen extremities twice a day and doing low-impact exercises has a dramatic effect on patients, Rout said. They are able to get back to their daily lives. They’re able to work and visit with friends and family. And they are less likely to have acute attacks, which are extremely painful. The whole program revolves around community ownership. CASA helps build the capacity of the community, including women, and develops awareness. The building blocks of the process are awareness, education, unity, organization and action. For the past three years, through IMA’s partnership with CDC, IMA provided a subgrant to CASA to expand ongoing work. And there is still much work to do. Although the program has reached 33,911 people, there are still 50,000 on the waiting list, Rout said. Many people on that list are suffering, in pain and alone. IMA and CASA will continue to work together to find ways to help the people of India as part of our ongoing mission of ensuring health, healing and well-being for all.